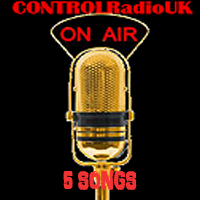 Here at CONTROLRadioUK we're always on the look-out for music be it for the playlist, or just because we think the tracks are pretty neat so check out our picks below and let us know your thoughts in the comments. I absolutely love Bishop Briggs. She's such a talented singer, incapable of producing a bad song. White Flag is yet another fine example of that. It's an extremely powerful song musically with one hell of a chorus, and just as fine lyrically. She also did an excellent cover of Never Tear Us Apart for the 50 Shades soundtrack (the movies are complete and utter trash but we can all agree it unfortunately has a killer soundtrack). If you've never listened to any of Bishop Briggs music before, I strongly advise you give her a play because she is terrific. This song has spent the weekend on repeat. It's just an absolutely fantastic song that will quickly get stuck in your head, and I say that as someone who has never really been that into Kate Nash's before. The music video fits the songs fun vibe and I'm intrigued to see what her album sounds like (and if you're wondering where exactly you've heard the name before, you can currently see her starring in Glow which is available on Netflix. < Usually I'd be questioning why on earth MØ is doing another feature instead of a solo effort & more importantly when on earth her second album is coming out, because I'm a greedy person who needs more than EP's. But she fits really well on this duet with Noah Cyrus, someone of whom I never thought I'd be listening to. We Are.... is a really fun song. Lyrics are catchy enough to quickly get stuck in your head and the music is top notch as well. An absolutely beautiful music video, even if it does make me feel even chillier than the ice-cold temptations we are currently facing here in the UK, Turn Up The Fire is an ace track. It's hard to believe Nova Miller is only 16 years old, and she has the potential to be a huge star. I do like a bit of Ricky Martin. And by a bit I of course mean my Spotify playlist is littered with his songs. Fiebre has absolutely been added to that list. The official music video for this song has been released, but isn't featured here as I think the song is perfectly fine as a solo effort and more importantly? Really not a fan of unnecessary rap.